One thousand points, instantiated in a 10x10x10 array, each running my custom gravity script, with a spring attached to its spawn point, with a trail renderer. The built-in gravity feature of Unity's physics engine assumes that the world is flat, up is always up, and down is always down. 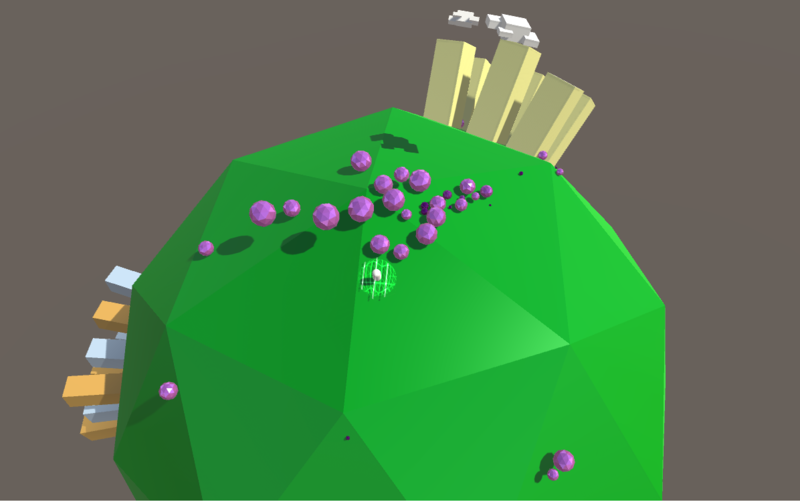 My custom gravity script can be used to create games that take place on the surface of a spheroid. Additionally, a low-orbit moon object may be used for the purpose of creating tidal gravity effects. By utilizing a technique known as object pooling, an infinite supply of a GameObject can be used, modified, and re-used while only ever instantiating a set number that is recycled, bypassing garbage collection, resulting in a much more efficient use of memory. This is just a simple script I've used on a couple of my own Unity projects. Consider any game played with a ball. 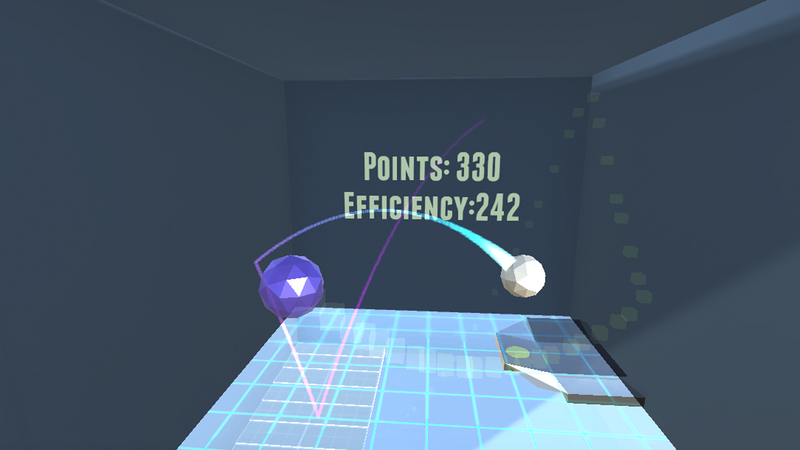 Introducing an "antiball" object can make for some interesting gameplay mechanics. The antiball can be configured to fully mirror the movements of the ball object, across all three dimensions, only width and depth but equal height, or only reversing a single axis. It's up to you to decide what's more interesting or appropriate for your needs. 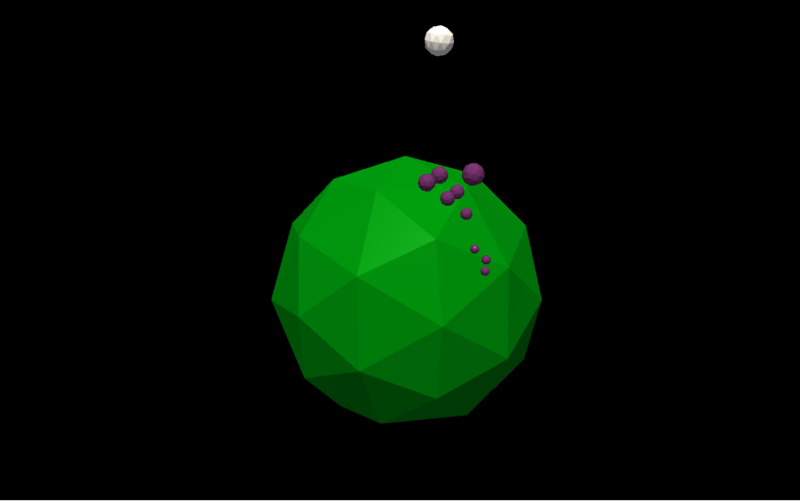 This demo brings together the false gravity and object pooling demos to simulate a planet where the precipitation comes in the form of purple hail that condenses and shrinks down to nothing.